Start by checking for leaks by moving a stick of lighted incense around the edge of the door on a windy day. Watch the smoke trail for signs of leaky spots. If this doesn’t work, have a helper shine a flashlight around the door’s edges at night and look for light coming through. Next, check for rotten wood by probing bad spots on the wood door with a screwdriver. If a spot is more than one-quarter inch deep, it will be difficult to repair with wood filler. Look for warping by placing a long, straight edge on the door. If the warping is more than a half-inch across the door, new weatherstripping probably won’t help. Along those lines, also check the condition of the existing weatherstripping, which can become compressed. And check to see if hinges and pins are worn, which can keep the door from sealing well. To fix leaks in a wood door, reposition the latch plate. Remove some wood in the door frame and move the plate back up to one-quarter inch maximum. Drill out the old screw holes and fill them with a dowel rod. Drill new screw holes to secure the latch plate in its new position. Installing a stepped latch plate is another option to better compress the weatherstripping. 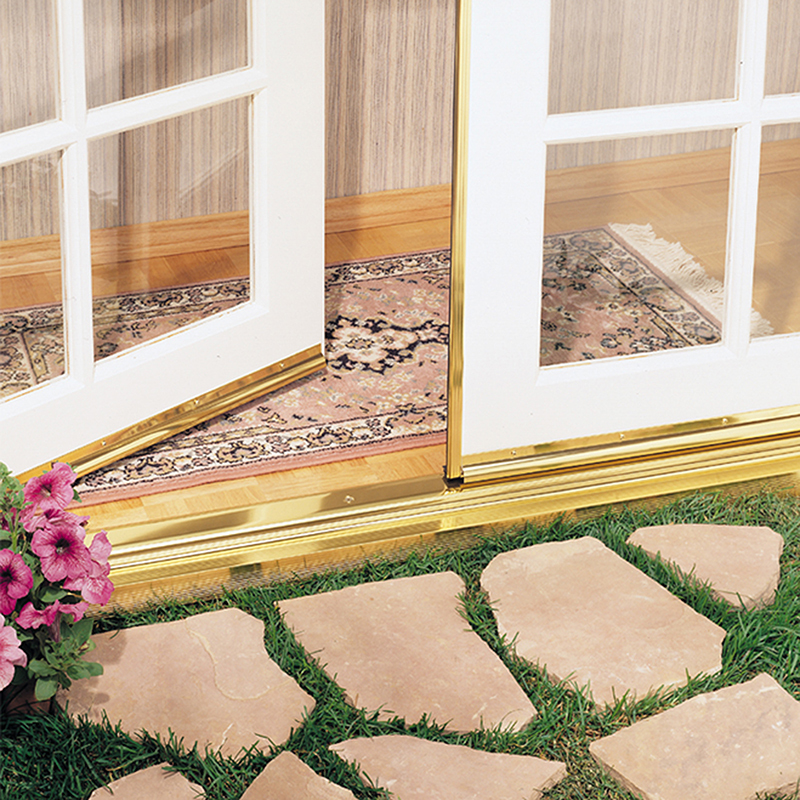 If weatherstripping itself is an issue in your wood door, install new, closed-cell foam weatherstripping. For worn pins and hinges, take an old one to the store to get a good replacement match. Rust is a common problem in metal doors. Small rust holes can be filled with auto body compound. Drill several one-eighth-inch drain holes in the weatherstripping so water doesn’t get trapped there. JAMES DULLEY is a nationally syndicated columnist who writes on energy efficiency and do-it-yourself energy topics.